Last week, I had one of those surreal moments that you can't believe is actually happening. 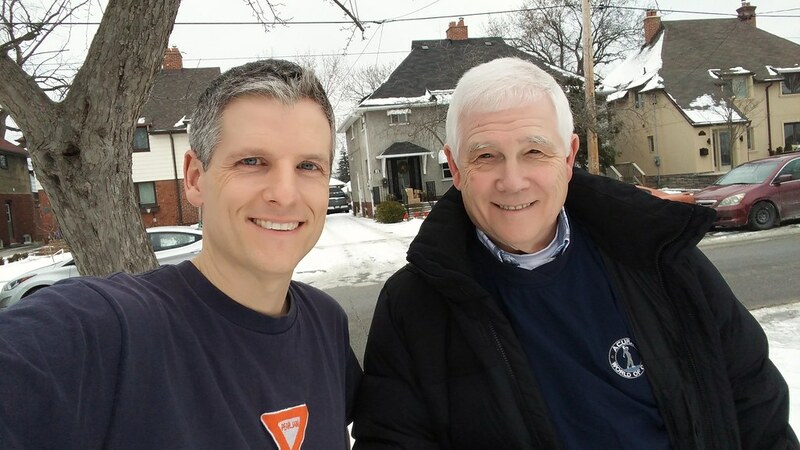 Legendary sports broadcaster Dave Hodge visited my home and spent a couple of hours with me in my basement while he shared his 100 favourite songs of all-time. Yes, this actually happened, and I recorded the whole thing. If you haven't heard that 302nd episode of Toronto Mike'd, I strongly urge you to click over and listen before you read the chart below. Not only does Dave list his top 100, but we play his top 10 and he shares tremendous stories as to why he loves the song. There's even a fun game built in where he gives us the first line of the song so we can guess it. As I said, it was wonderfully surreal. Tyler, a big fan of these Kick Out the Jams! episodes, maintains a Google spreadsheet with everyone's top 10, and he meticuously assembled a list of Dave's top 100. Dave, however, had already emailed me his list, but by the time I told Tyler it was too late. Tyler did go the extra step of recording the release year and country, so I think him for that detail in the chart below. This was Dave Hodge's second visit, and we're already planning his third. He's going to return to present songs 101-200. I can't wait. I'm going to add a spoiler alert. See this is the one thing I like about KOTJ. You get to discover stuff you've never heard of before or in cases stuff you might have not heard in years. I don't know how Dave did it. Sure I could probably come up with 100 songs, but to have them all in order? Forget it. I can't stop listening to Frank Turner's I Still Believe. 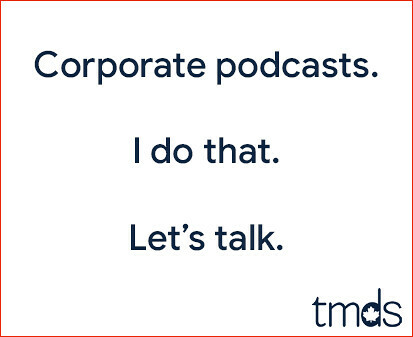 This was quite a podcast. The love and appreciation that he has his music is something to behold. It makes me want dig deeper into what's out there. The King makes the list! Now there's a whole pile of stuff on here I want to listen to. Some artists I have heard of but perhaps not that song, and some brand new stuff (for me, anyway). I am not at all surprised Dave Hodge knows Drive-by Truckers. I like them too. And the Japandroids with The House That Heaven Built. YAY!!! I haven't listened to the podcast yet, but what a list! Even The Brood!! @ Mike if it sounds like i was complaining that i read the list prior to listening that's just a poor choice of words on my part. I realized that "surprise" would be lost and read the list anyway. Knowing the songs beforehand doesn't matter much at all . I'm interested in the stories. I'm finally a bit organized and i'll be listening on my commute home today and commute in tomorrow probably. For those of you who are Apple Music subscribers, I've made a playlist. There are only 98 songs, as the Doug Paisley and Lucinda Williams songs are not available on the platform. and wow he put some serious work into this list! @ Tyler Campbell you rock! for whatever reason i missed that you had posted the previous KOTJ playlists on iTunes. I'm following you now and will listen to all the kotj list as time allows. starting with this one today at work! A couple of notes on this episode. First i finally got to listen, and it was as great as i thought it would be. - 84	Teen Angst	Cracker - this is one of my favorites too and as the first single off the album it was my intro to Cracker . the rest of the album this from is fantastic and get played very frequently by me - i might have picked I see the light from the same album but teen angst is a pretty great track. -81	Runnin' Down a Dream	Tom Petty and the Heartbreakers - after immersing myself in Petty after his recent death this is my favourite too. I wasn't really much of a fan before but i'm certainly appreciative now. 78	All the Young Dudes	Mott the Hoople -awesome pick. Awesome band name. 69	Fortunate Son	Credence Clearwater Revival - with a catalog as good as CCR's it's very hard to pick a favourite. This is a very ,very good pick. 61	Inside Out	Crash Vegas - Loved this band in the early 90's , still listening to the album this from pretty regularly. 32	Keep Your Hands To Yourself	Georgia Satellites - Loved Loved Loved this song when it came out. Somehow fell off my radar over the years can't wait to hear it again. 30	Crazy Mary	Pearl Jam- it Is pretty interesting that both Mike and Dave picked this as there favourite PJ song. It's in my top 10 for PJ but not #1 i think. Will have a listen again and see how it fits. 9	I Still Believe	Frank Turner - WOW I can't believe how completly unfamiliar with Frank Turner I am , I expect to have a hard time stopping listening to this song too once I've got a copy from Itunes and can't wait to hear more of his catalog! 7	Ahead By a Century	The Tragically Hip - One hip song i didn't appreciate as much as i do the rest of the catalog until the final tour. it could make my top 10 now too. 5	Sundown	Gordon Lightfoot - HATED this song as a kid. HATED it. Fully expected to fast forward through it when it came on. I was very pleasantly surprised that i really enjoyed listening to it and picked up a bunch of things in the song i couldn't hear before. another case of over play when it came out i think by my brother in law in this case when I was staying with them in New Brunswick for a month one summer. I've been pretty lax in exploring Gordon Lightfoot and Sundown and my HATE for it was big reason. I'll correct that going forward. As for the rest i'm listening to Tylers playlist as I type and I'm loving it. So much new stuff to explore and more than a few artists i'l be re-investigating. @James Edgar, the older I get, I have grown an appreciation for songs and artists I hated or disliked growing up. I couldn't at one time listen to 2 words sung by Neil Young, now totally different, appreciate his style now. re: WCI - "He's white white baby"
I hope you're not suggesting that race, colour, culture &/or ethnicity must influence what one's favourite songs are. This isn't like Canada's food guide where one "should pick some from each group". Someone on TorontoMike's twitter feed was implying this. Music is personal. To each their own. One likes what they like & what resonates for them. p.s. ex. If anyone is waiting for me to list a Rap or Hip Hop song as one of my favourites, they will be waiting a long, long, long time. Those genres just don't work for me. It looks like... 100 songs, 100 artists. One song per music act.